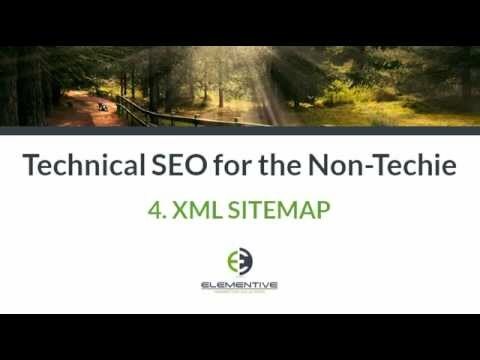 Technical SEO (and technical web marketing more broadly) is the process of using your website's code and server configuration to improve the way search engine robots, other automated services, and your human visitors interact with and perceive your website. This includes making the website more accessible, easier to navigate, and easier to understand. By improving your website’s technical structure, you can earn higher rankings in search results, drive more traffic to your website, and increase your conversion rates. 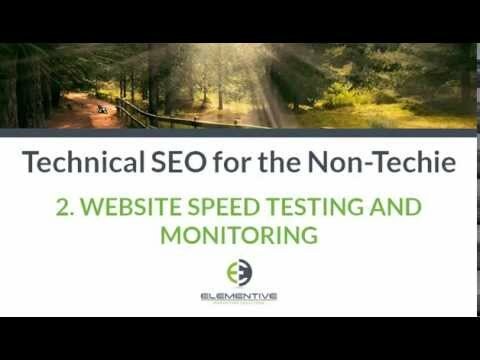 If you would like help evaluating your website’s technical SEO performance, contact us today. We offer one-time technical SEO reviews and ongoing services to continually optimize the technical aspects of your web marketing campaigns. The three main goals of technical SEO are making your website and your website’s content findable, ensuring robots can access and crawl the content once found, and, after they’ve crawled through your website, that robots can understand the content your website provides. The better you do these things, the better your chances robots will understand your website and be able to rank your website for the correct search results. 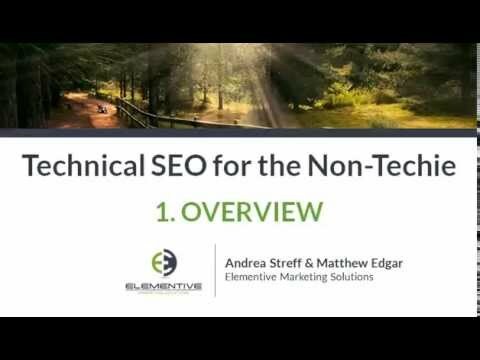 While there are many aspects to each, here are a few guides about some of the key technical SEO tactics. Elementive’s Tech SEO Guide, written by Matthew Edgar, provides a reference for marketers, developers and programmers who know their website (or their client’s website) needs a good tech SEO cleanup but aren’t exactly sure how to do it. This step-by-step guide will help you address technical SEO issues on your website. Order now. For more on this topic, please watch our video series. Prefer a more DIY approach? Order our Tech SEO Guide, a reference guide book to help you address the technical SEO issues on your website. Order now at Amazon.